Another day, another strange turn in the increasingly epic feud between rappers, Eminem, and Machine Gun Kelly. But now it appears there’s a strange twist in the tale, forcing hip hop fans to question everything they know to be true about the heated rivalry. Both Eminem and MGK are signed to Interscope Records, with their respective diss tracks generating plenty of media attention both for themselves and the record label. 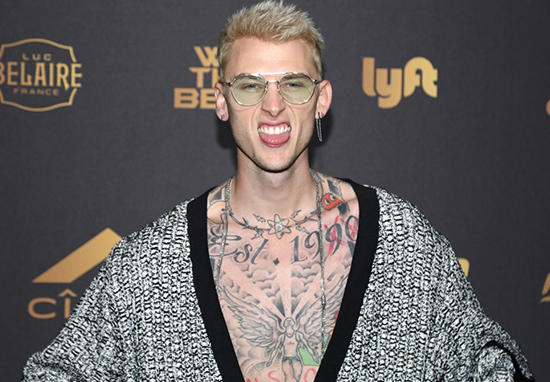 Furthermore, eagle eyed fans have noted how diss track Rap Devil was uploaded six months ago by MGK; thus ‘proving’ the 28-year-old rapper did not write, record, master the track – plus make music video – in a mere two days. Fans have taken to Twitter to discuss the theory which is making them re-evaluate everything, with some dismissing the bad blood as pure fiction. Even those from within the music industry have waded in to share their thoughts. The Eminem/MGK beef was fake. Here’s my professional opinion as to why I believe this to be true.